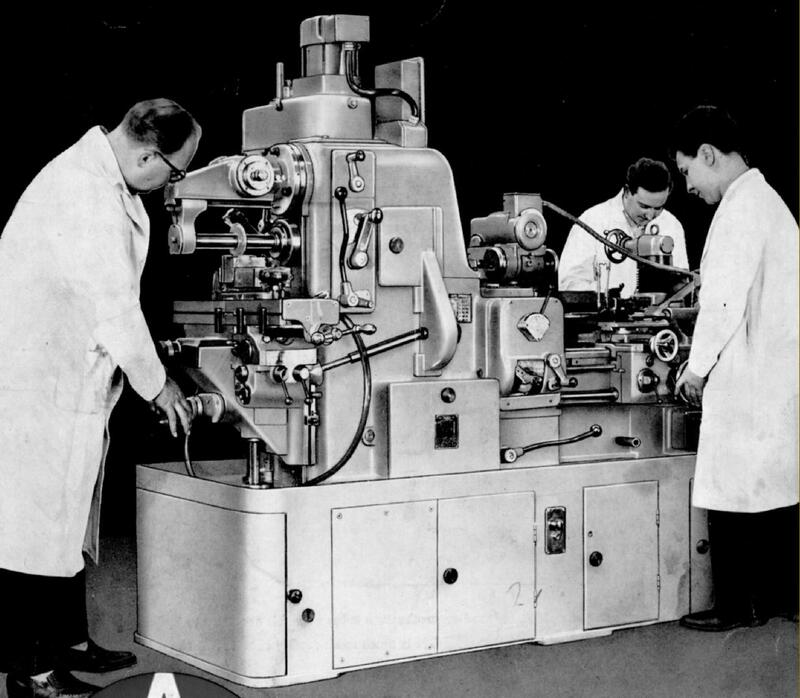 Adcock and Shipley manufactured and factored a vast range of engineering equipment including, from the early to late 1950s, two sizes of a remarkable "Universal Machine Tool", a machine not unlike that produced in Japan as the Dainichi. It was believed that the built took place not in Adcock's Leicester factory but at that of Thomas Ryder & Son Ltd. of Turner Bridge, Bolton. Ryder also sold the larger Universal under their own name - but were better known for their piston-ring machines, a small range of specialist lathes and the remarkable "Verticalauto", a vertical multi-spindle automatic that, despite sounding very Italian, was all-British. Boasting a very complete specification, the "Universal" offered a lot in a relatively small space - the smaller occupying a footprint of only 7 ft. by 3 ft. and the larger 11' 6"b y 3' 8" with each including a screwcutting and power-feeds lathe, a cylindrical/universal grinder, a vertical/horizontal miller and a drill. 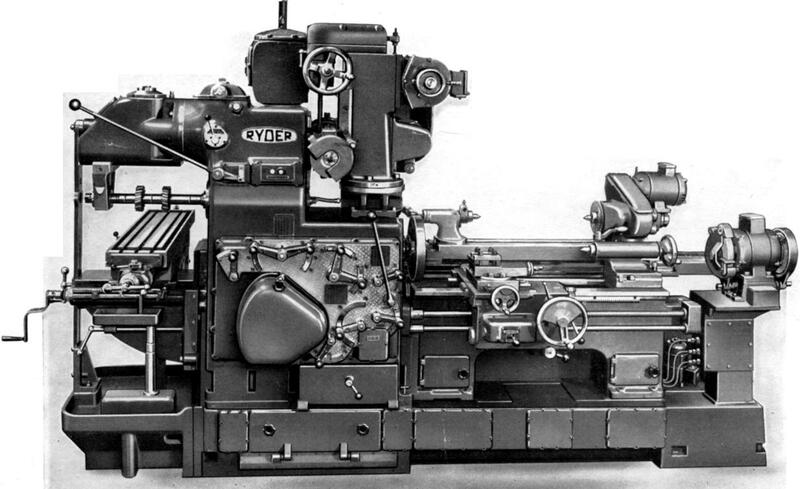 Instead of a sliding or elevating beds and headstock as used on many other machines of the same type, the Ryder was built around a conventional centre lathe with each separate machine tool being self powered and capable (apart from the grinder) of all being run at the same time. The unit was designed originally for shipboard use and met the various specifications laid down by the British Admiralty for that purpose. Some examples must also have been exported with one, serial number 692, order 19230 dated June, 1959, being delivered to the New Zealand Navy in 1960. Not only were the machines very versatile, heavily built and well finished, they were also constructed to be as "shockproof" as possible and - on a smaller boat either would indeed have been a most useful tool for assisting with general maintenance and repairs. It is rumoured that only twenty-four of the smaller type were made (it was just too limited in work capacity to appeal) while figures for the larger are unknown. Some are believed to have gone into navel vessels - though not submarines, whose workshops were too small, the machine's one great disadvantage, the generous working space required on all four sides counting against it. Extremely substantial, as one would expect, the main base of the smaller type was welded up from steel plate and weighed in the region of 1 ton. The deck, around 0.625 inches thick, was increased to a thickness of 1 inch in raised profiled areas that corresponded to the positions of the milling machine column and the secondary bed on which the grinder and lathe sat. The lower section of the base, 0.625 inches thick, was connected to the top by a series of plates that created compartments that housed the switchgear, and main and suds pump motors for the lathe and milling machine, a motor to drive the table of the grinder - with the remaining spaces used for storage. 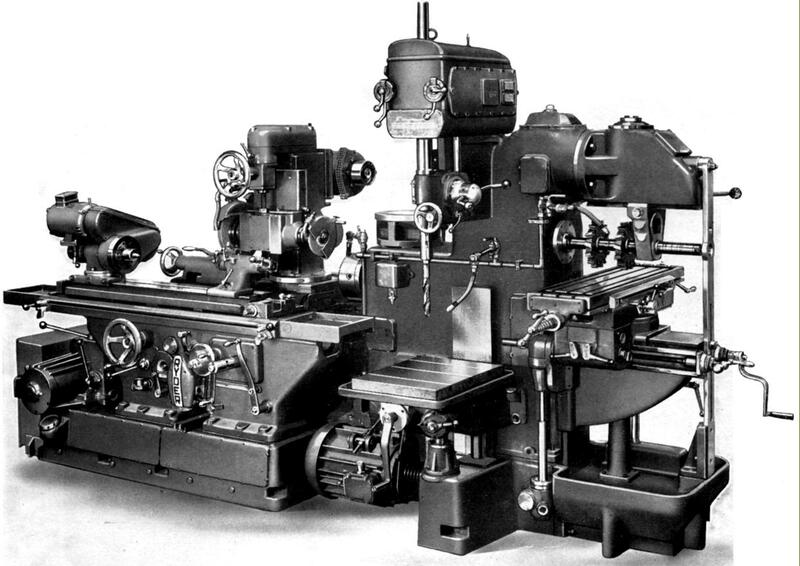 Of modest capacity, with just an 8" swing and 18" between-centres, lathe element of the Universal had an all-geared head that gave spindle speeds of 58, 92, 137, 198, 300, 470, 707 and 1020 rpm. driven by a 3 h.p., 1760 r.p.m. 3-phase motor. Surprisingly, the spindle had a bore of just 0.75", hardly adequate for the sort of work the machine might have been called upon to perform. A simplified screwcutting and feeds gearbox was fitted that offered a good range of threads between 4 and 100 t.p.i. Metric pitches were also available, but details of their inclusion into the gearbox, or of the necessary conversion set, are not known. A separate power shaft was used to provide sliding and surfacing feeds, so leaving the leadscrew exclusively for screwcutting. Of ingenious construction, but very limited in the size of work it could tackle, the milling machine had a vertical head built into the horizontal arbor support - it being a matter of simply swivelling it through 90° to bring it into operation. The working surface of the 6-speed power-driven table was 26" x 6" with a longitudinal travel of 10" a cross of 5.5" - and the knee able to be elevated through some 10". The No. 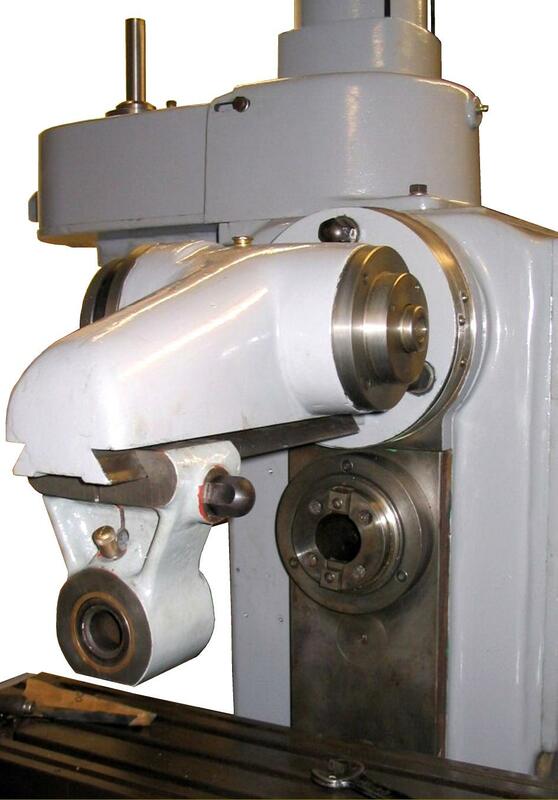 40 international spindle ran at 48 to 970 rpm in horizontal mode and from 77 to 1575 rpm when used vertically. 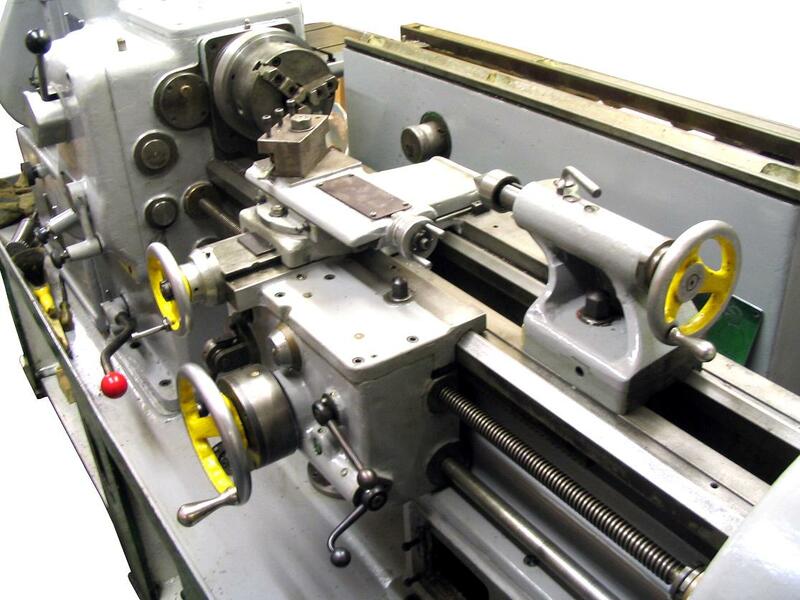 Able to be swung 45 degrees clockwise and 15 degrees anti-clockwise, the universal grinding machine table was mounted parallel to the lathe bed and used the latter as mount for its wheel head. Two gears connected the head to controls at the front of the machine. The maximum swing over the table was 7" and the largest job that could be accommodated was 6.5" in diameter and 10" long. For internal grinding - the maximum capacity was a hole 4-inches in diameter - with the wheel head being swivelled through 180 degrees to bring to the attachment to the front. Tool and cutter grinding was also possible, with a variety of attachments available including a special Universal Cutter Head to mount on the table in place of the standard workhead. Surface grinding was accomplished by mounting a platform on the standard table and attaching a magnetic chuck to it; an extension was also fitted to the standard wheel head to bring the stone forward and so increase its coverage. The coolant supply to the grinding head was a separate unit, designed (of course) to avoid contaminating the other coolant (supplied to lathe, miller and drill) with abrasive particles. Mounted at the back of the lathe's "headstock", the drill (with a maximum table capacity of 15" in diameter) had six speeds from 420 to 5000 r.p.m. with power supplied by a separate 0.5 hp motor. Unfortunately, the designer had specified a hopelessly inadequate No. 1 Morse taper in the quill, so restricting the machine to light-duty work only. Not what you want when faced with getting a 3/4-inch hole though 4-inch thick block of steel. Before you rush out to find one of these beautifully-made machines for your 12' x 12' wooden-floored workshop, it is as well to bear in mind that they weigh a not inconsiderable 4000 lbs (1.78 tons) and enjoy little beyond the capacity of machine tools found in the average experimental and model-engineer's workshop. Even so, it must remain a tempting proposition. Very much bigger, heavier and more useful than its smaller brother, the larger version of the Universal was 11' 6" long, approximately 3' 8" wide over the handles (with the milling table in its centre position) around 78-inches high and weighed in the region of five tons. 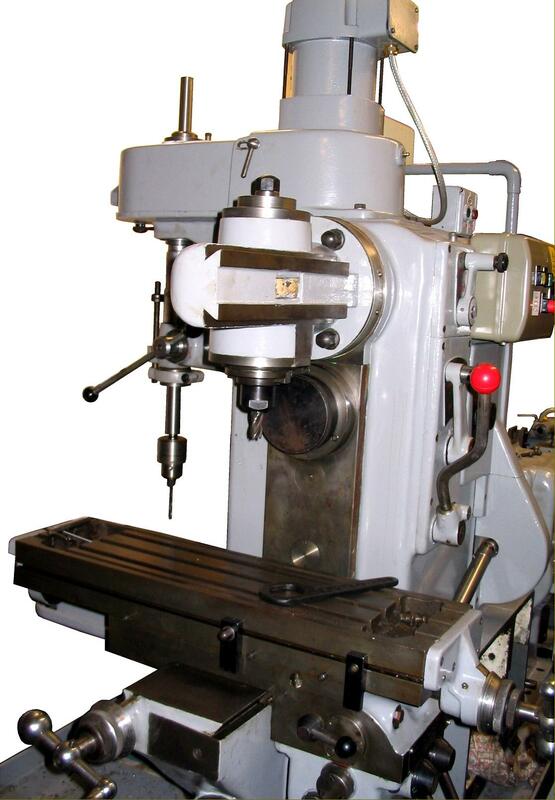 The machine combined a sliding, surfacing screwcutting lathe, a universal milling machine, a sensitive drill, a universal grinding machine and a bench grinder with a built-in twist-drill grinding jig. A single 6 h.p. 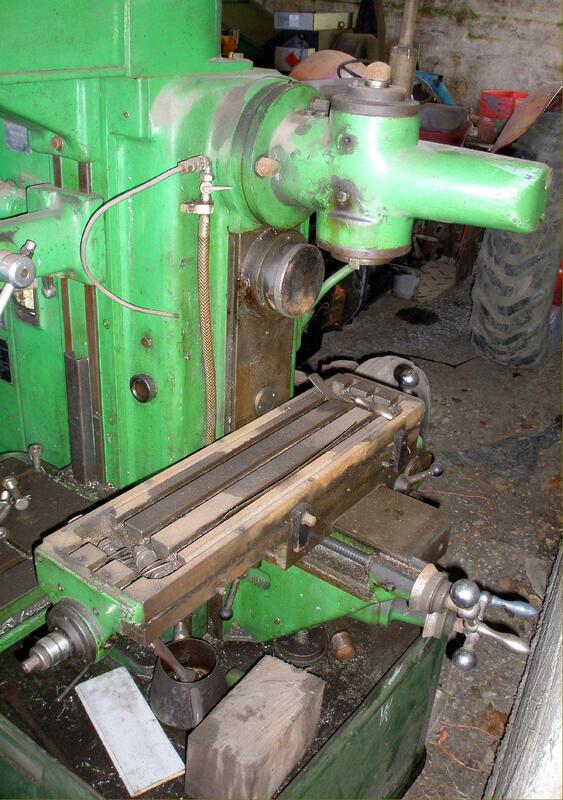 3-phase motor was used to drive the lathe and universal milling machine with separate motors for the drill and grinder. 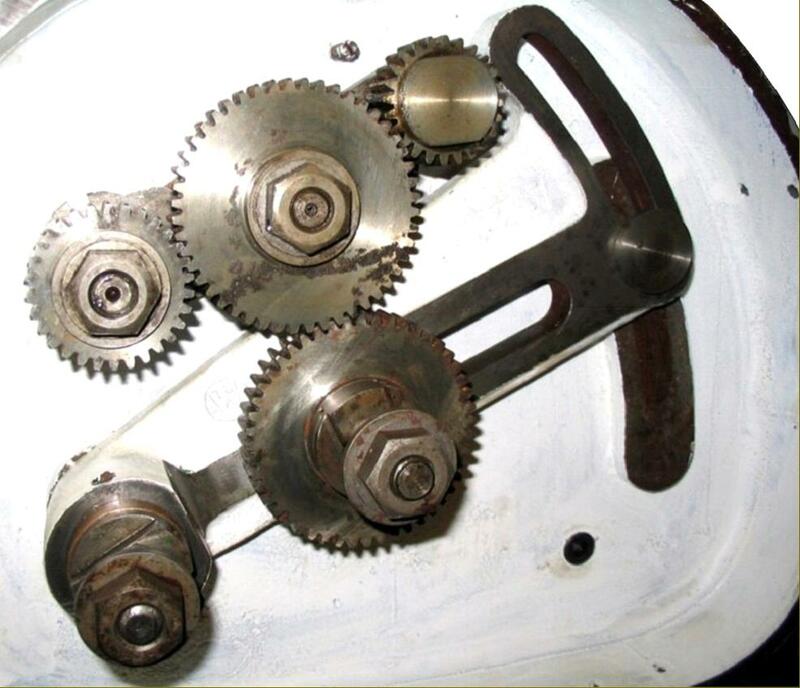 Although the same motor was used by lathe and miller, their operation was entirely independent, though they did share the same drive gears within the headstock and slipping clutches to protect the feed mechanisms. 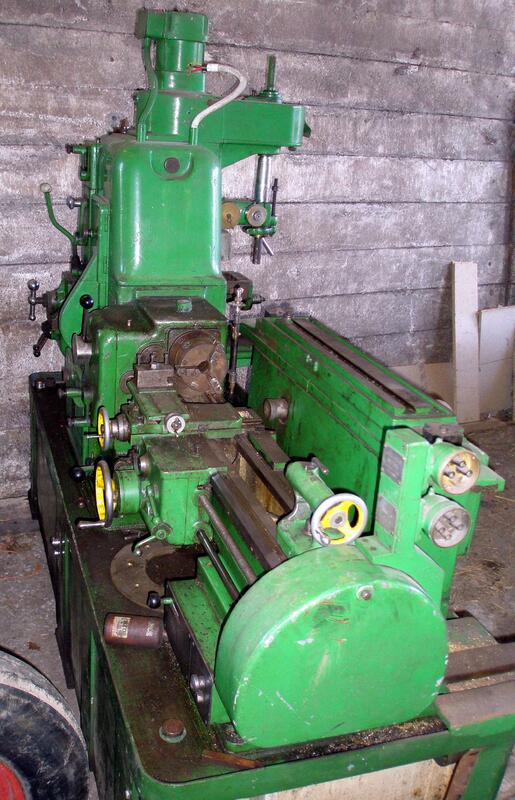 However, when the grinding machine was in use, this prevented the lathe and miller from being used. Two suds pumps were provided, one for grinder and one for the other three machines. Oil reservoirs were used in abundance - for instance, it appears from an external examination that the feed screws for the milling table each ran in their own oil bath - and the machine was fitted with a pressure oil supply to the main headstock that incorporated a filter. Cast with heavy diagonal braces between its walls, the V and flat-way lathe bed was very substantially constructed and of a useful size. The centre height was around 6 ½ inches with a small removal gap piece allowing an extra 4 inches or so on diameter to be turned. The distance between centres was approximately 48 inches and 9 spindle speeds of 21, 30, 45, 74, 106, 161, 244, 352, 533 rpm were available controlled by the juxtaposition of levers on the front face of the headstock. A separate shaft drove the power sliding and surfacing feeds with the drive passing through a safety-overload clutch. Individual engagement levers, with reverse, were provided for both the feeds and the leadscrew - and handy adjustable stops fitted for the automatic disengagement of the longitudinal (sliding) feed. Fitted with a screwcutting gearbox able to provide a limited range of pitches: 3.5, 4, 5, 6, 7, 8, 10, 12, 14, 16, 20 and 24 t.p.i. A set of changewheels was available to extend this range including a 63t metric translation wheel - a useful precaution on a lathe used for emergency repairs. 12 rates of sliding and surfacing feed were available from 0.005 to 0.040" per rev sliding and from 0.0025" to 0.02" surfacing. Two unusual touches were the provision of a series drain holes in the valley of the rear V in the lathe bed and a cross-slide wiper with an overhanging protector. 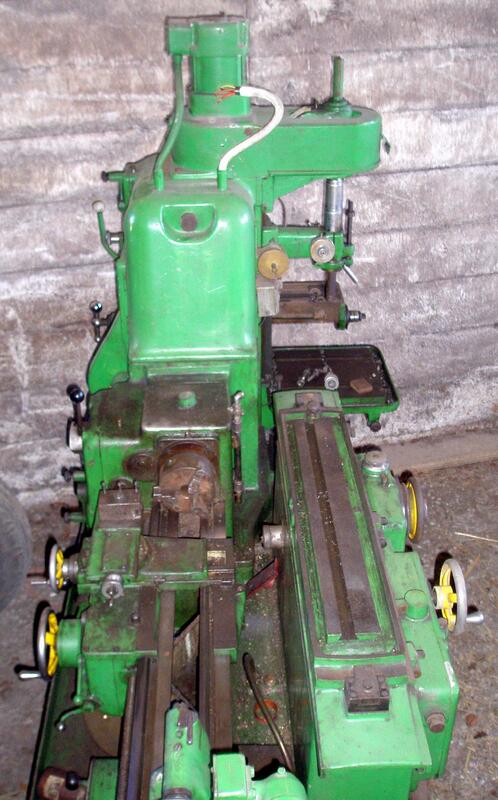 Very heavily built, the milling-machine element was a proper "universal" - that is, a combined horizontal and vertical type with a three T-slot, 40" x 10" table able to be swung some 50o either side of centre. 23" of longitudinal travel was provided, with 7" in cross traverse and 13" vertically (though it is possible that an alternative specification was alsom produced with slightly greater travels). With a heavy-duty, 40 International taper the spindle had speeds that ran from 21 though 30, 45, 74, 106, 161, 244, 352 to a maximum of 533 r.p.m. Fittings were provided for a front brace support for the table and knee assembly and, at the right-hand end of the table, a take-off drive to operate a power-driven rotary table - the control for this were, very conveniently, built into the table power-feed arrangement with an attached feed-rate chart. In addition, the makers offered an ordinary dividing head and powered rack-cutting and slotting attachments. 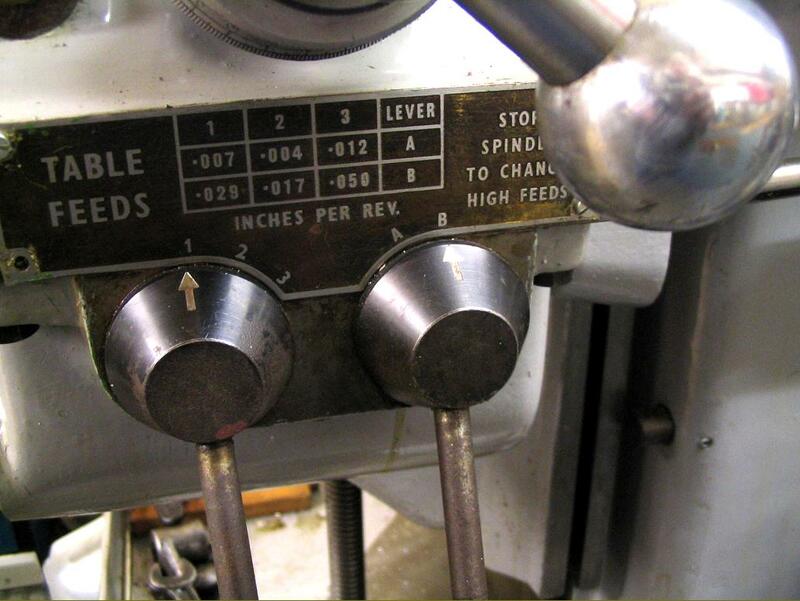 A complete, self-contained cylindrical/universal grinding machine was bolted in place parallel to and behind the lathe bed and carried just a Ryder badge. With a 10" swing over the bed and a maximum capacity between centres of 24", it provided the usual range of facilities including (with accessories) tool and cutter grinding and a limited surface grinding capacity. Although the table's reciprocating motion - 6.5 to 69 inches per minute - was mechanically driven, its gearbox was flexibly mounted to aid smoothness of power delivery. The wheelhead motor was rated at 3 h.p., that for the workhead 1/4 h.p. and for the table traverse 1.5 h.p. Although in post-WW2 years Adcock and Shipley stopped making drilling machines, in earlier decades that had offered a very wide range of heavy-duty types - and it was on this experience that Ryder drew when cooperating with the design. Of very heavy construction the 15" x 20" T-slotted table was able to be elevated (by a telescopic screw) through some eighteen inches; the throat depth was twelve inches and a No. 3 Morse taper fitted in the quill. All-geared, with speeds from 85 to 1220 r.p.m., the drill was able to machine a 1.25" hole in mild steel. The 6-inch stroke of the spindle could be hand or power driven - the latter having 4 rates from 0.0055" to 0.0162" and engaged by pulling on the quick-feed capstan handles. Unfortunately, on the examples seen, the full-circle fine-feed handwheel did not carry a graduated micrometer collar. Should you have a Universal with Adcock & Shipley or Ryder badges of either size, the writer would be very interested to hear from you.. 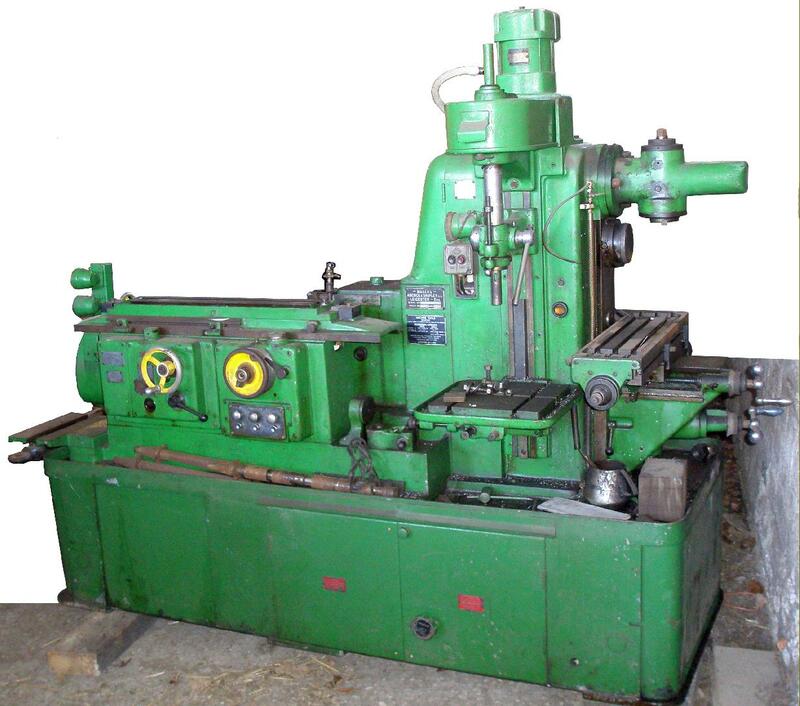 The wheel head of the grinding machine normally was stored at the end of the Universal Machine Tool in such a way that it could be used as an off-hand grinder. 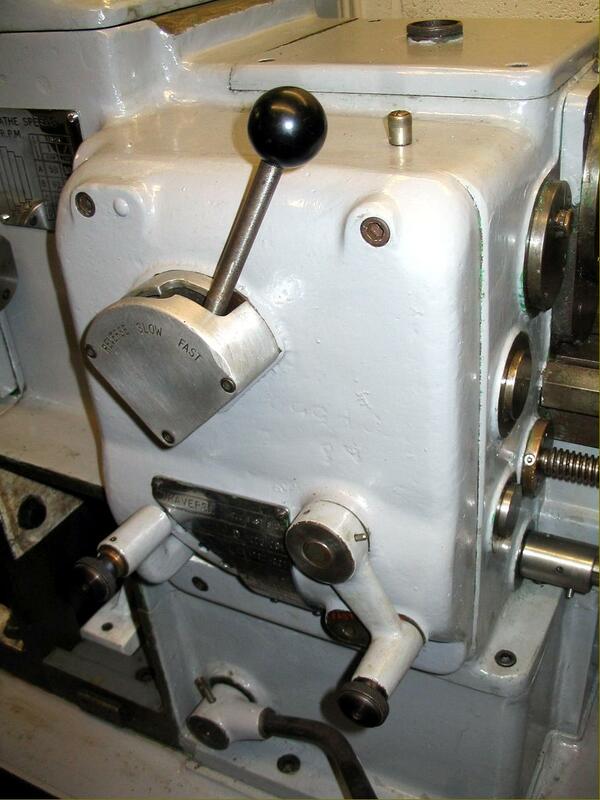 A special universal head was supplied to mount on the table in place of the standard workhead.